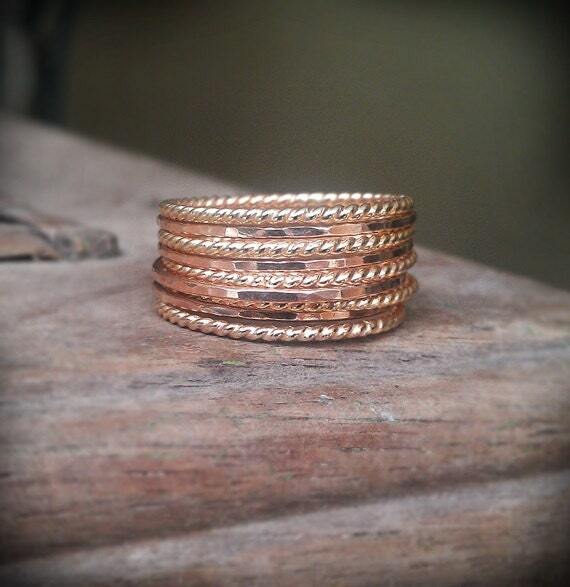 This is a nice mixed texture set, made up of 14k gold filled twist wire, and 14k gold filled gently hammered bands. It is a beautiful set which gives the illusion of one solid band. 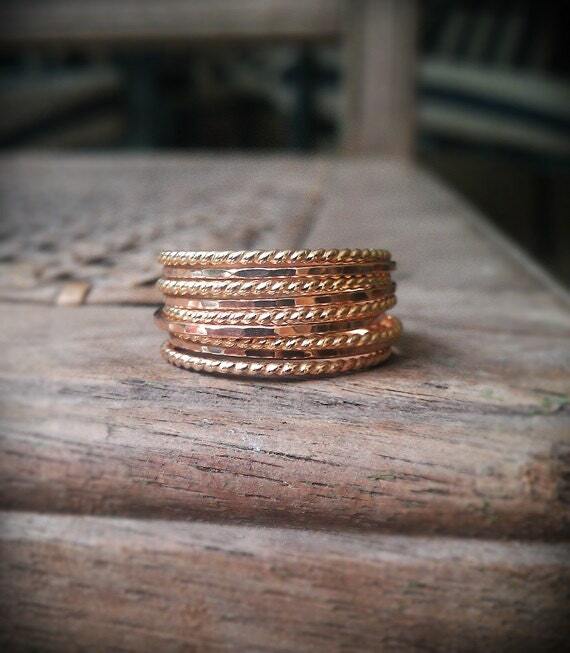 The stack looks great with any style and can be stripped down to just twist bands or just hammered bands for a more simple look, if desired. 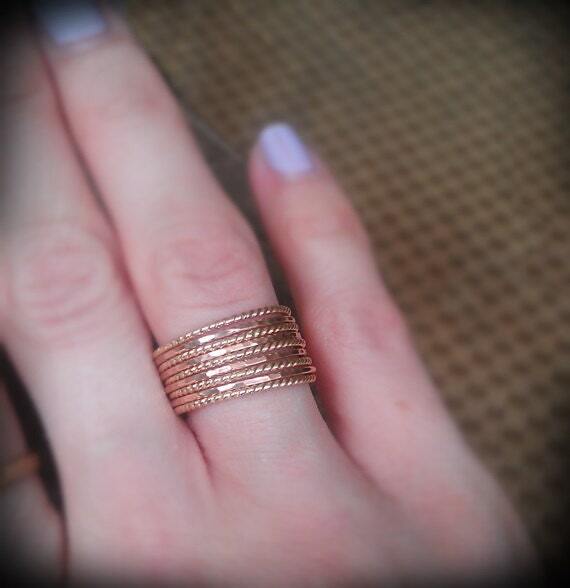 The set also looks great with a mix of metals, for example silver hammered bands and gold or rose gold twist wire. Please convo me if you would like a mix of metals or a different number of rings. Be sure to include your size(s) in the "notes to seller" upon purchase. My preferred method of payment is Paypal.. Please submit payment with 48 hours of purchase. Our current production time is 7-10 business days, please send us a convo before you order if you have a custom request or a rigid time frame. Thanks! There are no refunds due to the custom nature of the products. I am happy to fix or exchange an item if you are not satisfied. Just send me a convo within 3 days after receiving your item. I want you to love what you purchased! If you ordered without reviewing our shipping and production policies and you need an item before the quoted processing time of 10-14 business days, please contact us within 48 hours of your purchase to cancel your purchase.